Perhaps the most commonly used and commonly neglected part of any car is the air conditioning system. For the most part, the only time that a vehicle owner thinks about their air conditioner is when it begins to malfunction and no longer produces cold air. Due to the complexity that comes along with repairing an automotive air conditioner, it is best if the owner lets a professional technician handle all repairs that may arise. A professional automotive technician will know the proper steps to take to diagnose and fix the problems that a car owner is having with their air conditioning unit. The following are a few of the warnings signs that Auto Air Conditioning Service in Mukilteo is needed. One of the most noticeable and potentially damaging signs that a car owner will notice when it is time for repairs or service on their a/c is water in the floor board of a vehicle. There are many causes for this happening, but the most common is a clog in the high side line of the air conditioner. Over time, dirt and other debris will work its way in to the air conditioning system and can create severe clogs. The only way to fix this problem is by having a professional remove the line and blow it out. Another noticeable sign that auto air conditioning service is needed is a total lack of cool air flowing into the car when the a/c unit is on ‘cold’. Usually, this problem is caused by low or no refrigerant being in the system itself. The best way to remedy this problem is by letting a professional technician perform a leak detection process on the car and inspect all of the system elements. This will allow a mechanic to see exactly where the leak in the system is, in order to repair it and get the a/c cooling properly again. 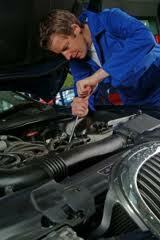 Getting the right Auto Air Conditioning Service in Mukilteo requires finding the right shop to complete your service. The best place around for a/c repairs is Conaway Motors. We have the experience needed to get your vehicle back in good working order in no time. Be sure to call us at (425) 905-2424 to schedule an appointment.